Will Kobe Bryant ever capture ring No. 6? 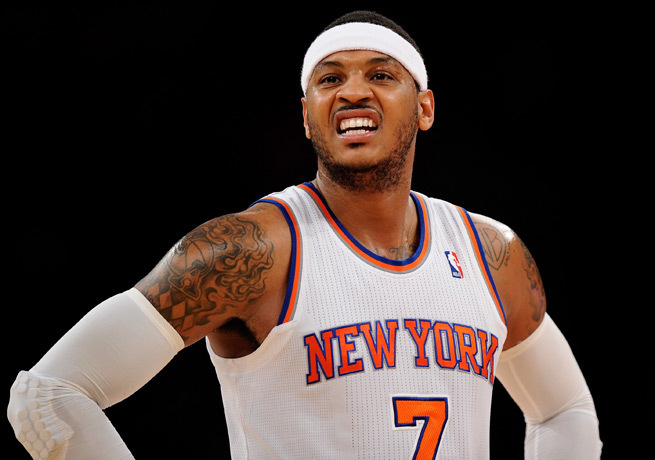 Lakers to pass on Carmelo Anthony? With only three players under contract (Kobe Bryant, Steve Nash and Robert Sacre) and a little over $30 million to play with in cap space this summer, the Lakers can offer Knicks small forward Carmelo Anthony a max contract. The 30-year-old has been on record saying that he plans to opt out of the final year of his contract, slated to pay him $23 million, and will become an unrestricted free agent this summer. Melo is arguably one of the top five players in the league. He had another career year this past season where he averaged 27.4 points, 8.1 rebounds and shot better than 45 percent from the floor.